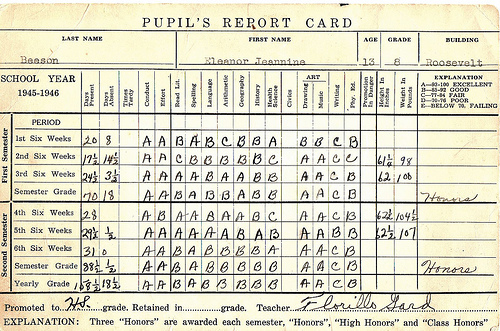 Home » Uncategorized » What Grade Would You Get? What Grade Would You Get? Would you give your life an A plus, a B minus, or just a measly Conditional Pass? -Moms generally think they are really good moms, giving themselves an average grade for parenting of 89.7%! -Something surprising and encouraging. 85% of moms said their marriages are strong. 80% would walk down the aisle with the same Mr. Right, if they had to live their lives over again. -87% of moms say good nutrition for their kids is a top priority, but only 60 percent of moms eat healthy themselves. -Moms of teenagers pray more often than other mothers. -The age of 16 (when children can get drivers licences in most states) is a peak time for prayer. The saddest statistic, I thought, is that the average overall grade for mothering satisfaction among American moms was just 76.5 percent, or a C+, and only 9 percent of American moms gave their lives an A. You can take a shortened version of the survey here, and grade your own life. I did it, and it was pretty eye-opening. It helped me to see what’s going well in my life, and what still requires a bit of polishing or minor (or major) surgery.